Sorry, 180 Smoke Cigalike Metal Case has been discontinued. 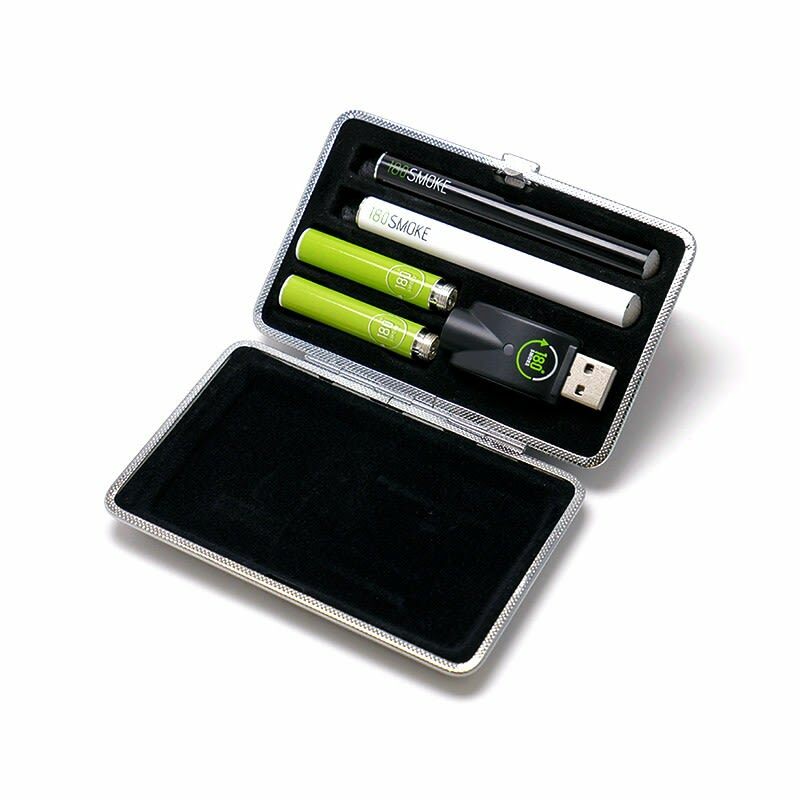 This stylish metal case fits two starter kit cigalike batteries, 2 cartridges, and a charger, making it ideal for transporting your electronic cigarette on a day-to-day basis. This very closely resembles a classic metal cigarette travel package, making it very discreet and stylish and ideal to bring with you anywhere. It also fits two of our brand new Cloud Maker Nano batteries, 2 Nano clearomizers, and the Nano charger.